If you&apos;re looking for a quiet 55+ neighborhood, Rio Vista in Palisade will not disappoint. As you enter the neighborhood, shade from the mature tree&apos;s cool the air making those wonderful Colorado evening nights overlooking the well maintained yard in your screened in patio enjoyable. 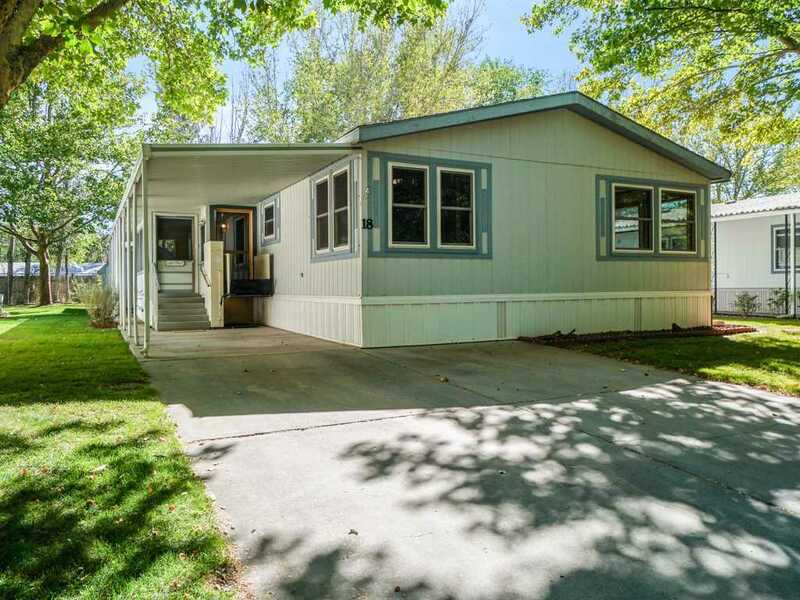 The manufactured home is larger than it looks at 1809 square feet with a split floor plan allowing enough space to entertain, dine, and house all guests without hardly knowing they&apos;re still there! If they are "bringing a car full," no worries, the walk in closets in every room offer enough space for all their needs. Well maintained with newer windows, 2016 hot water heater, handicap friendly and extra storage in the exterior shed make this home a must see!